Tonight, a classic holiday TV rom-com starring Denise Richards and Patrick Muldoon as long-lost lovers will air on the station known best for its TV movies! 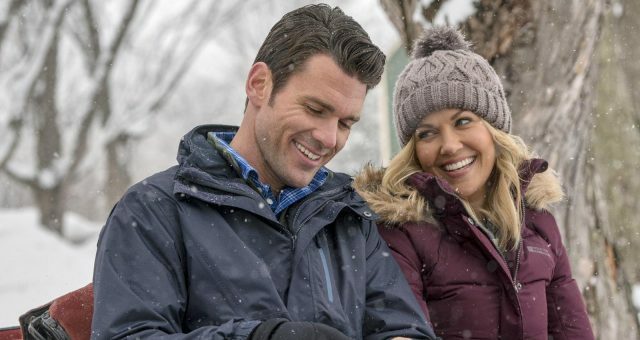 A Christmas Reunion, on Lifetime, has people excited to cozy up to one of their favorite holiday flicks! 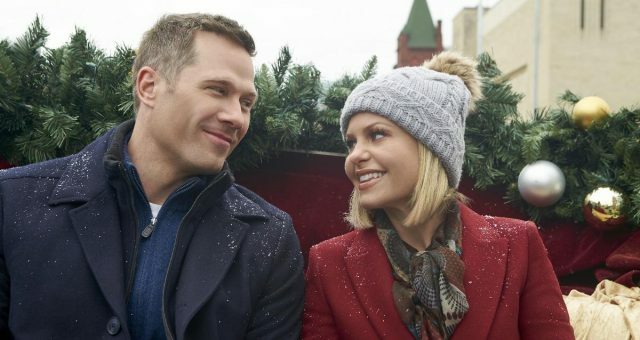 Read all about the talented A Christmas Reunion cast here before watching—or re-watching—the heartwarming movie this weekend! The holidays are almost underway and in the midst of all of the hustle and bustle, you’re probably tempted to just settle in with a warm cup of hot chocolate and snuggle under a blanket while watching your favorite Christmas movies. Good thing Lifetime has you covered because tonight they’re airing one of their original made-for-TV classics! The cast of A Christmas Reunion includes the gorgeous Denise Richards, the very hunky Patrick Muldoon, and the beloved and talented, Catherine Hicks. That’s right! The A Christmas Reunion cast is returning to your small screens for another fun-filled holiday season! You can catch the A Christmas Reunion movie tonight, Sunday, December 10, at 8:00 p.m. EST. 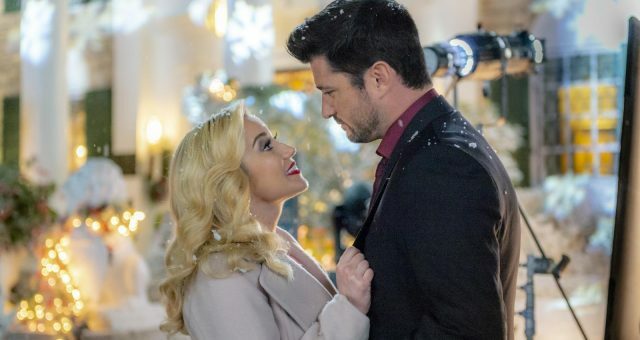 But before you do, you might be interested in learning a little bit about the main cast of this adorable holiday movie! In case you haven’t seen this movie since last Christmas, or if this will be your first time watching it, here’s a brief little reminder of what it’s about! Amy Stone is a successful young businesswoman who works on Madison Avenue in New York City for a big corporation, and she’s on the brink of receiving a highly coveted promotion. Everything seems to be going swimmingly for her in every regard, except of course her love life. Cue the bad news from her small hometown. She finds out that her beloved Aunt Linda has recently passed away and left her entire estate (along with her bakery) to Amy and one of Amy’s old high school flames, Jack, with whom Amy had a major falling out in her youth. Ouch. As if that wasn’t awkward enough, amidst all of the drama and bickering that’s bound to ensue, Aunt Linda has also charged the two former lovers with organizing the annual holiday cookie bake-off that takes place in her establishment! Check out the A Christmas Reunion trailer below! As a few fans have already pointed out online, the movie A Christmas Reunion might as well be considered a Starship Troopers (1997) cast reunion of sorts, since both movies star Denise Richards, Patrick Muldoon, and Jake Busey! Although both films have vastly different plotlines, it’s always fun and interesting when two movies share the same cast members. 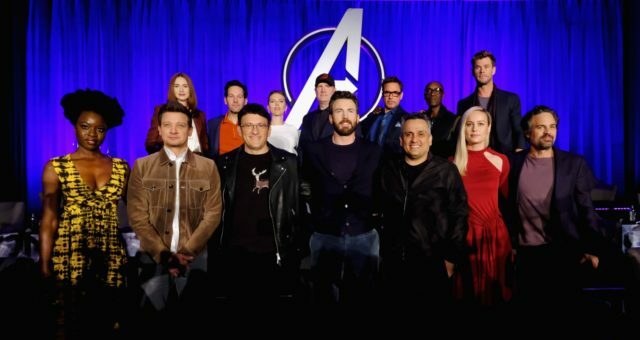 Obviously, a lot has happened and changed in the lives of these actors throughout the 18-year gap between both film releases, so let’s dive right in! There’s no denying that the beautiful actress Denise Richards, who was once married to actor Charlie Sheen, was a huge star in the ‘90s. Along with Starship Troopers, she starred in such notable movies as Wild Things (1998) and appeared in a whole slew of popular TV series throughout the 1990s and beyond, even making appearances on Two and a Half Men and Anger Management, alongside her ex-husband. Richards is currently working on a few projects that are in post-production, so keep an eye out for her in 2018! Patrick Muldoon is a California native who’s starred in countless film and television roles throughout his illustrious career. In addition to Starship Troopers, he also appeared in the original Melrose Place (which ran in the mid-1990s) as Richard Hart. Before that, he also had a recurring role on the teen hit sitcom, Saved by the Bell as Jeffrey Hunter. Currently, Muldoon is involved in several film and television projects that are in post-production and will be released sometime next year. Christmas is the time for cheesy pickup lines. Tag someone you think would use this line! You might recognize Catherine Hicks from the hit CW and WB show, 7th Heaven as Annie Camden. Since the show wrapped in 2007, however, Hicks has been keeping herself busy with a series of TV movies, including A Christmas Reunion, Win, Lose or Love (2015), and Honeymoon From Hell (2016). In total, she has 63 credits to her name and has been acting professionally for most of her adult life, beginning her acting career at Cornell University. Jake Busey has led a fascinating life to say the least. As the son of renowned and eccentric actor, Gary Busey, most of Jake’s childhood was spent on the road traveling with his father’s various musical groups from one city to another. He also spent much of his childhood on film sets learning the art of filmmaking and took an interest in it from an early age. As a result, he’s managed to build a very successful career for himself in Hollywood and has appeared on award-winning shows like Ray Donovan and in high-profile movies like Enemy of the State (1998). #ChristmasTree shopping in #malibu… #spendy #ouch!